Leasing a vehicle is a terrific way to get the vehicle you need for work, your family or your extracurricular activities, all without spending more than you can afford or being tied down by ownership tasks and costs. However, it’s possible to start leasing a vehicle only to find that it doesn’t match your needs. Plus, the circumstances of your life can sometimes change — for better or for worse. When that happens, you might feel “stuck” in your lease contract and that there’s no getting out until your term is up. We’ve got news for you: that’s not the case when you shop at Joseph Airport Toyota! At our Toyota dealership near Hamilton, OH, we make it easy for you to handle your early lease return inquiries. If you have less than 12 months remaining on your lease, get in contact with Joseph Airport Toyota and speak with one of our lease advisors. You have options available to you, and we’ll break them down so you can understand them. If you have more than 12 months left on your lease, there is still a solution! We encourage you to check out the Swapalease website so you can find out how to get out of your lease and potentially accept the lease that someone else is exiting. There, you can list your vehicle in the “Exit Your Lease” section, making it available for millions of interested shoppers to buy. You can track the activity of your vehicle at any time — monitoring hits and inquiries or adjusting the duration of your listing as you like — and when you come to an agreement, Swapalease will guide you through the transfer process. It’s easier than you think to bring your lease to an early end. 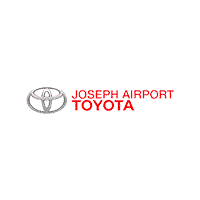 Visit Joseph Airport Toyota and see for yourself!